India has an extraordinarily rich, vast and diverse cultural heritage in the form of built heritage, archaeological sites and remains since prehistoric times. The sheer magnitude in number alone is overwhelming and these are the symbols of both cultural expression and evolution. There now appears to prevail a fundamental lack of knowledge, understanding and, perhaps, interest in our past: in what constitutes the heritage of India, the process that governed its coming into being, and how this heritage relates to the people. Its manifestations expressed in cultural forms are losing their traditional essence in rapidly transforming lifestyles in an era of industrial growth. There is, however, no comprehensive record in the form of database where such archaeological resources in terms of built heritage, sites and antiquities can be referred. As a result this finite, non-renewable and irreversible resource of our country is fast disappearing without any record for the posterity. Therefore there is an urgent need for a proper survey of such resources, and based on that an appropriate archaeological heritage resource management and policy can be formulated. In view of the above, Hon’ble Prime Minister of India made an announcement on Independence Day, 2003 for setting up of a National Mission on India’s Tangible Heritage. 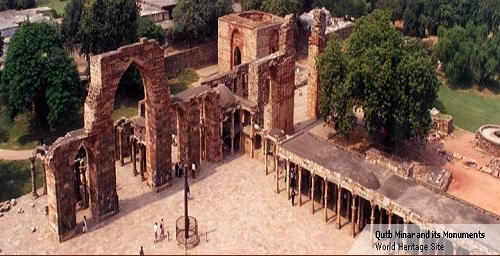 Accordingly the National Mission on Monuments and Antiquities was launched on 19th March 2007. The National Mission on Monuments and Antiquities proposes to launch its activities through out the country with independent functional strategy in each state and union territory. It is envisaged that mandate of the Mission should be achieved within a stipulated time frame of five years i.e. 2007-2012.